If you have the book, this will help you transform. Learn about Bob’s personal transformation story, and how that spurred his passion for positive transformation. Also enjoy a preview of ideas and tools he shared in “Energize”. You feel calm about whatever challenge you’re facing, but energized enough to make a difference. This means your Caveman is calm. You can see more than one perspective on the challenge; it’s not just “my way or the highway”. Understanding multiple points of view shows your Thinker is engaged. You use new approaches to the challenge and even want to try new things. This means your Artist is energized. 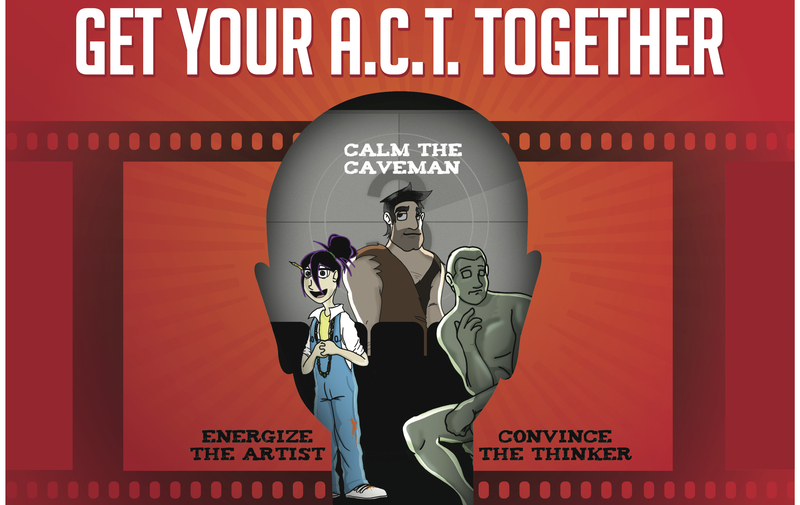 When you have your “A.C.T.” together, you can make your best decisions. You will be flexible, “change-ready,” have less stress, and be a more positive influence on other people. You’ll also be increasingly likable the more you are in this mode. The faster you can get your A.C.T. team to work together, the more you’ll enjoy your circumstances. You’ll increase passion and performance for a fulfilling and successful life. Read more excerpts or buy the book. “This is a dynamic book that takes complex human concepts and converts them into understandable action steps that enable us to re-balance our thinking and actions. Bob’s guidance and challenges can help us think differently and make positive changes in our daily lives both personally and professionally. 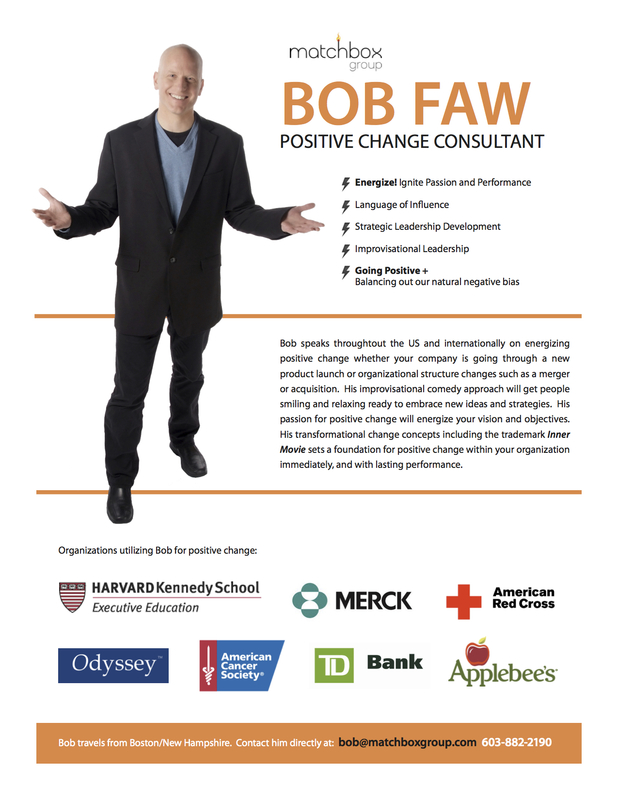 We chose Bob Faw to help launch our leadership development program at the Red Cross. What a great choice! His creative approaches to helping young leaders first understand and then develop the skills and behaviors they will need to be successful have made the program a huge success. His message of positive change is one that is not only eagerly received, but critically needed in today’s highly competitive, ever-changing business environment. This book has truly hit on a topic that is so critical and timely to organizational health and leadership success. Bob Faw has taken very technical scientific concepts and described them in such practical terms. I can relate to these lessons as a leader, as well as on a personal level. The book will definitely be a resource I will use in our professional development, change management, engagement, diversity/inclusion and leadership development initiatives at the University. Bob Faw’s concepts in Energize clearly resonate with his readers. His clarity of message and sharing of personal stories provide great insights on how to apply these concepts to both your personal and professional life. I have worked with Bob for almost 10 years, and his energy and enthusiasm for conveying these concepts to others is contagious. He can relate to all audiences, has the ability to make these teachings come to life and has a spirit of enthusiasm that is second to none.